This article was adapted for the main blog from Trevor’’s post on the ex-community hub. Howdy! While doing Balance PvP, I found that it was quite easy… In fact, TOO EASY! I’m sure even my nine year-old brother could do it. Trust me… I could rank way higher but what’s fun about facing basically yourself (Balance) all day? Easily declared the best decision. You get a whooping amount of health, and some very well round pips, pierce, resist, and damage. Not to mention; the Shadow Pip bonus. The Exalted Drape is my robe of choice. This puts us as full accuracy depending on what other gear you wear, and it also gives us a huge amount of health, critical, damage and resist. Also a +2% Shadow Pip bonus. This robe comes second if you can’t get the Exalted Drape. The only problem with it is the fact that you lose all your accuracy, a little damage, and almost x2 the health. You do however gain a little block, pierce, and boost. The best boots. No substitute. These boots bring it all! Health, pips AND accuracy (finally), pierce, block, resist, damage, a 1% Shadow Pip bonus… Must I say more? Some may be wondering why I would use this wand over the Lunar Scepter of Anubis, or the Teeth of the Lords of Night. It’s because of that fearsome pierce! 11% from the wand itself is a large amount. Add the pierce from your gear and you should have around 20%. Add an Infallible tc, and you’re at a whooping 40%! 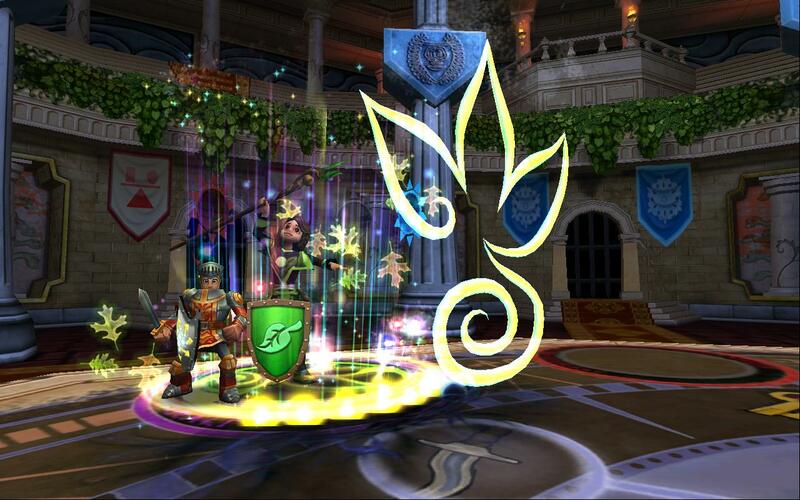 That’s piercing through all the resist that Darkmoor gear offers! 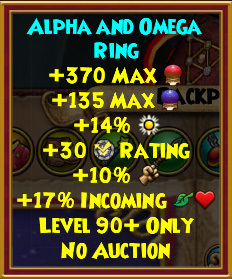 I ended up going with this amulet, even though it may not be the best. It is truly okay to use this one, but if you have the Morganthe Amulet, Divine Influence, or even the Traveling Dead’s Charm, use it. All of those are better than this one. 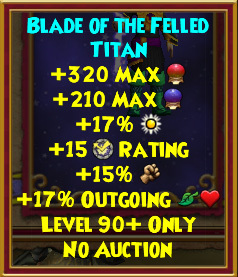 The obvious choice of athame for 1v1. Just a bit more Accuracy to deny fizzles and a tad bit more health. Although the Usurper is better , the Blade of Felled Titan works just fine for substitute. I’m sure there’s no need to explain this ring. It’s been around for a while. If you can, replace it for the Duelist’s Daredevil Ring. I honestly would say to craft this deck. It extends our Side deck to a 40 capacity. You also get a bit of health and some critical. Not to mention the start-off pip for first round Mana Burns? If not, then just go with the Deck of the Shadow Prophecy. Although it may be hard to get a great pet, it isn’t needed. What’s really needed is Proof, maybe Defy along if you can, but notice, a Damage pet is not needed at all. 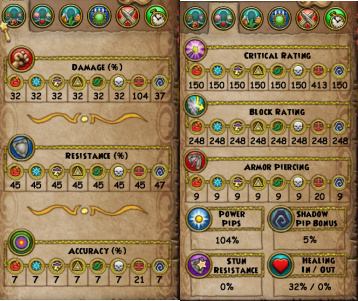 I love Darkmoor Gear due to the fact that it’s so balanced. You get enough damage to actually matter, along with just enough resist. You also get full Accuracy and Pips, and last but not least, you get just enough critical to critical on foes, but not too much where they can’t block, and the same way vice-versa! Our boost is okay even though I don’t heal much, and to top it off, we withhold an awesome amount of pierce to Balance. Amazing. Don’t be afraid to discard. Your Side Deck hits will always be there for you. If your deck permits a Mana Burn to show the first round, go for it. Those are always good ways to start matches off. Make sure you watch the opponent’s Shadow Pips. Every school can most likely land a critical Shadow Enhanced spell on you and possibly end the match the first round. Be cautious. Infections are in the deck, although many people have stopped wielding Life Amulets at Top Level, the Storm, Balance, Life, and Death Wizards are still out there with their own heals. This deck setup is meant to heavily rely on Loremaster and Weakness. We don’t use Loremaster for her damage, we use it for the Mantle and Weakness most of the time. You have main deck Weakness and side deck Weaknesss in to stack with Loremaster Weaknesses. To me, Weakness is now better than Tower Shields, as they are easier to stack. They won’t always be better though… I only think it’s a tad bit better since it actually has an effect on DOTs, and Double hit spells such as Gaze, Minotaur, etc. Anyways, you get the idea. Stack Weakness through out the entire match, and your road will look very clear. Feel free to pop a Weakness on the opponent whenever it shows up. Don’t forget that Colossal enchanted Loremaster and Gargantuan enchanted Loremaster are two different Lores! This means that the Weakness from both will have an effect on the same spell! Your deck contains our best friend, Gaze of Fate. Usually, when I use Gaze of Fate, it will end up hitting around 1000 damage from each hit. 2000 damage isn’t bad, and we get a Damage bubble to help our other spells! Remember that Judgement is always a finisher. 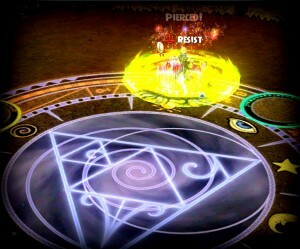 Using up all your pips for the spell not to kill is a bad option to do, as it would leave you at a disadvantage. Never use Judgement unless you have a foe in a killing range of 1000ish health. Supernova is going to be a spell you will certainly love at the Low ranks like 0-800. Even above that, I still find people who use Auras. That’s an easy 1000+ Damage for just two pips! Take it! Even if it is not enchanted. The main point of the Side Deck is to support the main deck when it isn’t functioning correctly. For example: You need a Tower Shield but your Main deck won’t pop one into your hand. You discard a few spells and draw some Treasure Cards and end up finding a Tower Shield TC. That’s all the side deck is basically for. Since there are a larger amount of Loremaster, Tower Shield, and Supernova in the side deck, they will show up more often. Mantles are still useful at Top Level, despite the full accuracy. Just don’t rely on them to always work. You do have two Stun TCs in. Use those when you run into an awkward situation, or if you are just make sure not to let your opponent’s aura sit. Always dig for a Supernova if one is not in hand. (I say “Pop” in substitute for Supernova) Pop those Auras, and let Loremaster guide the path for your foes… Don’t forget about the power of Gaze of Fate. The damage itself is nice, but think about it. You’re adding a +25% Balance damage bubble along with it. This means we’re basically hitting with a Balanceblade every single time. Since we have Gaze, that means all our other bubbles are completely worthless. This is the reason why I’m not wielding the Death Amulet – it would be pointless to place Doom and Gloom, knowing I’m going to end up using Gaze of Fate sometime soon. If Gaze of Fate didn’t include that amazing bubble, I would be running a Doom and Gloom-type setup… Do know that it is still okay to wield a Death Mastery Amulet, only that you have to use it at a point where you know that you will no longer use Gaze of Fate. An example of that would be against a Jade – You probably would want to use a Shadow Pip for Shrike over Gaze. I have had countless moments where I wish I was wearing my Death Amulet. That’s probably how I got 12 of my losses.. Facing different schools means using a different Strategy. Each school requires a different way to defeat them most of the time. The first wizard I fought was a Fire. The last one I fought was a Fire. I have fought Fire so much that I know exactly what to do every single time. From first: All the Fire wizards I’ve faced have all ran the same exact strategy. They wait for that Shadow Pip, and they release the FFA (Fire From Above). Most of the time, they’ll aim for a Critical to land on you… Which for some reason works ALL THE TIME. I’m not going to lie, I did run against some Fires who went with the good ol’ Efreet, so do be weary of coming across a few. A good way to counter Fire is Conviction. It stops that King Artorious stun and adds a little more block to your arsenal. Don’t let their bubbles stay. Use Gaze for more of a bubble change than its damage. Abuse the laws of using shields from first. There’s quite nothing they can do about it.. using DOTs from second aren’t very effective since you can just shield after each tick. Weakness has always been our friend against Fire, and it always will be. From second: Going second against Fire isn’t all that bad. The worst thing they can do is probably a critical FFA.. in most cases it would kill, but HEY! It’s okay to take one lucky loss. 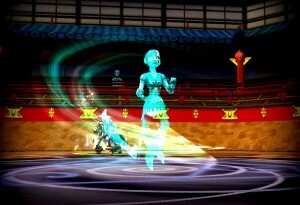 If that does not happen however, they would most likely Shield, Blade, Bubble, Mantle, Stun, or even use an Aura. In that case, the best option would be either to Shield or Mana Burn. Watch out for that FFA.. wielding 248 block doesn’t mean it will always block. Don’t get me wrong, it’s still a good amount. It’s not too much, nor is it too little. I would say about just right. Just make sure to stack those Weakness and you’ll be smooth as butter. Don’t let them win the bubble war either. Let Gaze be the key factor to that. Usually when I do go second, I always tend to increase my use of Loremaster to even out the turn difference. It’s always a good move to use Lore, as it adds a chance of fizzling next round along with a weakness. Always try to look for conviction, as those things can determine the fate of either wizard. Some spells we still have to look out for are Link and Power Link. Those LOVE to critical on me and get those infections off the opponent as well. Remember to always watch for Efreet. It’s one spell we had to watch out for since Level 60, and I think we will always have to. When I fought my first Ice, I went second. I have watched a few of my friends’ matches, and I often observed a Winter Moon-Abd Weaver combo… That just SOUNDS fierce doesn’t it? Well, going first you should be able to prevent that with Conviction. Weaver is our fearsome foe that we have to watch for. The -75% shield should be easy to handle with the first move at hand. Make sure you let Ice Wizards know that the bubble war is all yours. This is one school that is REALLY in love with their bubble, and they’d want to have it up at all times. Gaze, Gaze, Gaze. Don’t let them have the bubble at all. 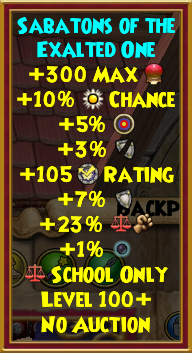 Especially not the Critical bubble… I wouldn’t be surprised for an Ice to still be wielding a Life Amulet, so it may be best to Infect. 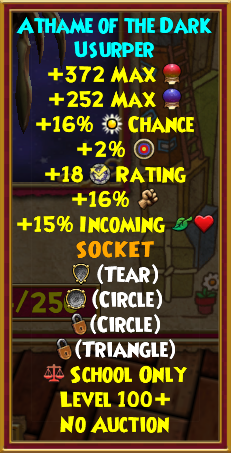 Even if you don’t see a Life Amulet, they may have one, as the new Darkmoor Mastery amulets are actually hidden from view… Did you know that Ices can bare 46 resist without a single resist on their pet? Make sure you do know that. 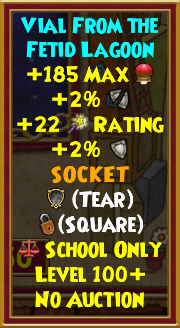 Shrike is very useful against the School of Ice, but Infallible works just as well. Make sure not to try and hit through the -75% shields, even if you do have Shrike. The only spell damage that’s okay to use over shields is Loremaster, as it serves as a double effect rather than damage. Follow through with Lore, cast conviction accordingly, keep their bubble down, and that Ice wizard will soon be melted. From second: When I got this match-up, of course I was scared. What made it worse was the fact that the guy spoke to me, and I looked at his stats. Boy was I spooked… He was sitting on top of 61 Resist, along with 73 damage. He wore the Teeth of the Lords of Night over the Malistare staff. He had 313 block, 200ish critical and only 6 pierce. I gladly thought about that fact that I had 45 resist. If the guy has no Pierce, then what’s the worry?? Well, unless you face a guy exactly like mine, my advice for you would be to “Pop” those Infallible, and cancel out those blades with stacks of weaknesses. Make sure to keep the bubble in your possession just like fighting from first. That bubble is a magnificent beauty, but we would rather have OUR magnificent beauty up. Mana Burn is our love against Ice, as they tend to run on 5+ pips spells. If you run into an offensive Ice, make sure you dig for your best friend; Conviction. It stops those criticals, and it also stops those stuns. When I fought that Ice wizard, I found it was easy to heal off his damage, so hopefully you can do the same. I did manage to land a critical on him as well, which was pure gold since there was no possible way for him to critical on me for revenge. Always remember, before you go into Shrike, put up Conviction. A stun could easily make that Shrike useless. When you do get into Shrike, Lore spam your way out, or even go out with Gaze of Fate. Shrike+Loremaster Spam is absolutely unstoppable. Unless a -75% shield runs into your way… remember to use those Infections. I’d hate to take an Ice all the way down to kill range to have them heal right back to 6,000+. Shield frequently, as Frostbite is one of those spells that aren’t found much anymore. If they do happen to use Frostbite, then just let it be. Don’t let them get a wide open Weaver on you. At least make sure to have a Weakness or something on at all times. Make those Ice wizards EARN those wins – don’t let them have it. From first: If you get that Shadow pip, use Gaze ASAP. If it criticals, that should be an Automatic GG. If no Shadow Pip shows up, then hope for a Mana Burn, if that doesn’t happen, start the round off with a Loremaster. It is important that you start attacking asap, since they can pretty much kill you in 3 rounds or less. Conviction is the Perfect spell for Storm as it will stop criticals most of the time, and also prevents that Storm Lord that they’re probably hoping for. 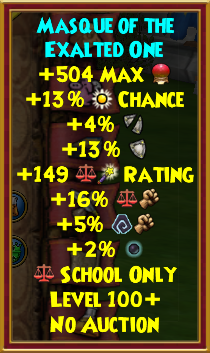 Infallible won’t be really needed as Storm only has around the average 4,000 health. Conviction is what you really want to be emptying your deck for. A critical Stormbug Squall won’t be so scary anymore. Don’t always go for those Volcanic Shields. Storm still has those Insane Bolts in their decks. Basically play on the Defensive until you get enough pips to go for a counter strike. When they take your health down near 3,000, that’s where you should instantly go onto Loremaster’s side. You’re getting a Weakness on them every time, as they Pierce out most of your Tower Shields anyways. Plus you’re increasing a chance to fizzle! Keep calm, and keep control. Storm isn’t all that dangerous like they were during the Hades’ gear era. From second: Let’s just hope that no Shadow Pip comes in for them in the first round. That’s a wide open Stormbug right there. If your deck allows it, pop the Conviction that same first round. What’s better? A critical Storm Lord – with a Shield, or a Critical Storm Lord – blocked with Conviction? Well, the critical Storm Lord + Shield would hurt less, but you’re stunned, while the Conviction Storm Lord hurts slightly more, but you block the Stun 90%/95% of the time. If you ask me, I’d say conviction. It allows me to enter with my Counter-Attack so that I’m not put at a disadvantage with the Stun (Sorry for the nerd talk… just shows my experience I guess you can say. :P) Basically go for the same idea going second. Go on the Defensive, and wait for the right time to Counter. If you do lose to a Storm, don’t get frustrated about it. Just boot up and try again. From second: This match is probably where you will meet your maker. If a Death is playing their cards right going first, then any match is theirs going first against Balance. I don’t know what it is, but I can’t win against Death going second. I even let my nine year-old brother 1v1 me using my Death Wizard. I lost all 3 times going second. I feel ashamed. It’s just because of the fact that Death can pretty much heal off all your damage with Khrulhu after removing those shields and weakness with Poison. Doom and Infection makes the situation even worse – you can’t heal back your health. My advice for facing Death going second is to watch for Khrulhu. Maybe increasing Loremaster use will help.. but I bet they will just end it with a critical Sacrifice every time. Shield after Poison’s tick if they have a Shadow pip, and put up conviction sometime too. Most of the time Death would use Poison, stun, and Khrulhu in a combo type of way. It works too. The school of the fearsome critical Satyr. What’s more annoying then having all your hard work basically IGNORED..? From first: First thing you should do is find those Infections. Find about 2 if you can. I’ve found that Life wizards love using Auras despite if they face Balance or not (based on my experience). I guess they feel they can just heal it off anyways. Eh. Who knows. Pop those Auras if they’re casted, and keep control of their pips. Don’t let Life Wizards go past the limit of 8 pips. I only say this because they can unleash some annoying combos with a such amount of pips. 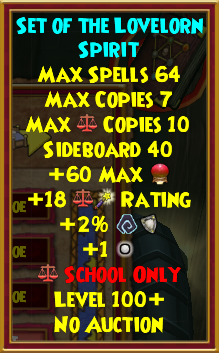 Every time those Life Wizards get that Shadow Pip,expect a Caterpillar – Shield, and take off the absorb with a Loremaster if they use it. Don’t sleep on Hungry Caterpillar. Those things are vicious, and can stack with other absorb shields. Luminous Weaver is actually an amazing spell that Life wizards can obtain, which does an amazing 900+Damage, and adds a Weakness as a transfer to defense. It’s almost like Loremaster, just minus the Mantle… therefore, you should use it as a defensive move as well. One reason Life is an annoying school to face is the fact that can basically heal off all your damage with a critical Satyr or better. How fun. If a Life wizard ever places a Sanctuary or Nemaste of course you would want to take it down with Gaze, as both will bring terror towards you. From second: Facing Life from second is the type of match I don’t want to look at. I mean, honestly, they can basically make all of your time a waste as it’s too easy to remove an Infection for a critical Satyr the next round. Also don’t forget that they can do as much damage as you can to them with Weaver and Caterpillar. You already know about that Guardian Spirit which is definitely an advantage Life has over every school. One way you can hold Life is by taking their pips first of all. A critical Satyr isn’t all that bad as long as you can take half of the heal right back down. If it were up to me, I would start getting ready to pile up monstrous amounts of hits by building up pips. Once you’re at maybe around full pips, that’s when the time is right for you to bring out the Infallible (or even Shadow Shrike if you feel it’s necessary), and start releasing combos such as Gaze of Fate > Savage Paw > Loremaster (my personal favorite combo). You don’t want to end up just spamming Loremaster on a Life Wizard going second (unless you have them in a range of 2000 health). This match-up will never be as bad if you keep their pips low, and just release simple combos with an Armor Piercing spell (Infallible, Shrike). If you do happen to lose in this match, don’t worry about it, just move on to the next. I have only lost to Myth once, which was because of a critical Medusa.. 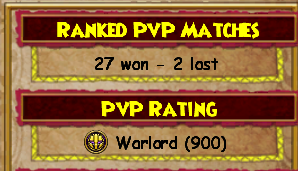 I honestly think Myth is at the bottom for Top Level PvP only because their new Shadown Enhanced Spell didn’t bring as much to the table for 1v1 as the other spells did. That being said, Myth is pretty easy to handle, regardless of first or second move. From second: This match is still easy if you do the same thing as if you were going first. Keep their 8+ pip spells sitting in their hand by digging for those Mana Burns. The only thing I would to say to do differently is use Conviction way more often. A good time to use it from second is on its last round as that’s probably what they’re waiting for. Keep their pips low, and just wreck havoc on offense and this match is yours. Every school has their weakness, and it’s always themselves. When you get around the 1200ish rank, that’s the time that you will want to actually start holding Balance Dispel in your deck (your opponents will, so you might as well too). From first: Going first against Balance is a major advantage, especially if you’re Balance too! Mana burn is easy to avoid going first, so of course you would want to avoid it by using Mana Burn yourself. Only use Gaze in this match if you have a clear shot (no shields). I say this because you would want to make good use of your Gaze, and get the bubble up at the same time. The bubble is needed because you’re facing BALANCE, so using an Aura would only be cursing yourself. But don’t forget that you’re also helping the other wizard in battle. Do know that since you’re going first, it may be okay to use an Aura, as long as you’re using Loremaster with it. The mantle can almost for sure cause fizzle on Supernova. For some reason, I feel that in a Balance vs Balance match, it always seems all about who can use Loremaster the most. That being said, just do it. Lore spam your way out, and heal off their Lore with Availing Hands. Make sure you place an Infection or two so they don’t heal off YOUR damage. Loremaster spam is always the best way to counter Balance itself. The mantle for some reason always makes me fizzle, so do be cautious of situations where you do fizzle. You’re always bound to intake a critical hit when wielding 248 block, so don’t think you’re safe because you’re going first. This match is all yours… If you’re ever called a “Lore Spammer”, don’t be offended; ignore it. 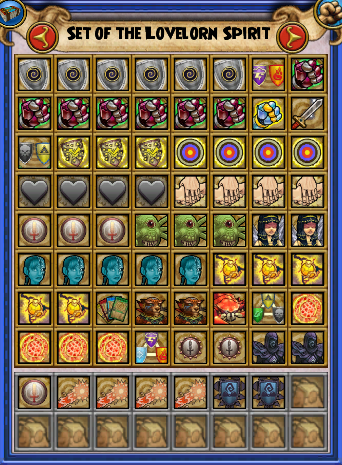 Honestly Loremaster was MEANT to be spammed. 4 pips?? 600-700 damage???? Yes boo. From second: Great! The worst match-up in the game. Believe it or not, this match is still able to be won. Just play it smart and time your spells. Your first move should automatically be some type of hit. I like using Lore for the first round as it places that mantle and weakness, and gets that edge over Mana Burn if they use it. In this match, you would want to look forward to stacking weakness, or even placing random weaknesses. Weakness is the reason why Loremaster is spammed in a Balance vs Balance match. I use different enchanted Loremasters to build weaknesses onto each other along with the ones found in the deck itself. If you were to ask me, that would be my excuse on why I “spam Lore”. Simply stacking Weakness is an easy way to defeat a Balance wizard. DO IT! What really determines these matches really depend on “who lands that first crit”. That’s not always true, but a majority of the time it is. But anyways, Weakness, Weakness, Weakness, and facing Balance from second isn’t all that bad as it sounds. 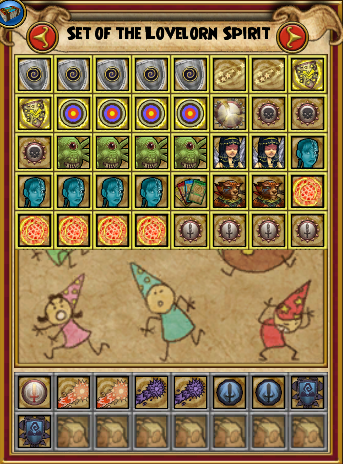 Exalted Balance PvP is pretty straight forward. Get the gear, get the pet, and get Loremaster. Basically you’re expressing the Art of Weakness, and that’s why Loremaster is used so much. If Loremaster just gave a Mantle like Krampus, I probably wouldn’t even use it. Stack Weakness, I keep saying because it’s just that important. Pierce is a growing factor in Top Level, and Weakness is just the go-to spell when it comes down to it. While this Guide may be called a “Guide of Lore spam”, it really is just a guide for that spell we receive at level 8 called Weakness.